IT HAS BEEN 52 years since the Supreme Court ruled, in Griswold v. Connecticut, that government may not ban anyone from using contraceptives. The freedom to use birth control is protected by the Constitution's "fundamental right" to privacy. That freedom is a matter of settled law, and hasn't been challenged in the slightest by President Trump or his administration. But you wouldn't know that from the hysteria that erupted when the White House last week acted to uphold the conscience claims of employers who object to funding some types of contraception on sincere moral or religious grounds. "The Trump administration just took direct aim at birth control coverage for 62 million women," stormed Cecile Richards, the president of Planned Parenthood. On Twitter, Hillary Clinton accused Trump of showing "blatant disregard for medicine, science, & every woman's right to make her own health decisions." Elizabeth Warren, denouncing "this attack on basic health care," claimed that the GOP's top priority is to deprive women of birth control. "News flash to Republicans," Warren sneered. "The year is 2017, not 1917." Access to birth control may be deemed within the First Amendment's "emanations" and "penumbras," as the Supreme Court put it. The right to religious liberty, however, is not merely implied by the words of the Constitution. It's explicit. As a matter of economics and public policy, the Affordable Care Act mandate that birth control be supplied for free is absurd. But ramming that mandate down the throat of Christian colleges, Little Sisters of the Poor, and others with grave religious objections was worse than absurd, it was unconstitutional. In carving out an exemption to the ACA mandate for employers with genuine moral qualms, the Trump administration is belatedly halting five years' worth of bullying by the federal government. "To the greatest extent practicable and permitted by law," the administration's new religious guidance makes clear, "religious observance and practice should be reasonably accommodated in all government activity." It is disturbing to see "reproductive rights" hardliners react with such fury to treating nuns with respect and sensitivity. Especially since birth control will remain as available and affordable as ever. 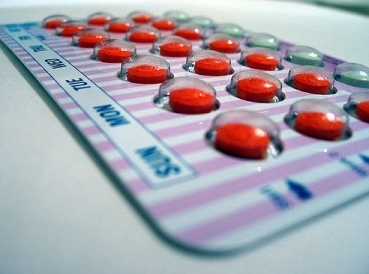 Religious concerns aside, the new White House rule leaves the birth-control mandate in place. Trump's "tweak won't affect 99.9 percent of women," observes the Wall Street Journal, "and that number could probably have a few more 9s at the end." Washington will continue to compel virtually every employer and insurer in America to supply birth control to any woman who wants one at no out-of-pocket cost. 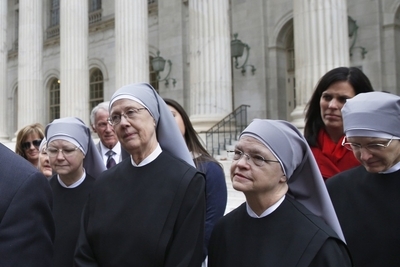 The Little Sisters of the Poor, an order of nuns who care for low-income elders, went to court to challenge the Obamacare mandate requiring them to supply forms of birth control that would violate their religious beliefs. Yet there is no legitimate rationale for such a mandate. Americans don't expect to get aspirin, bandages, or cold medicine — or condoms — for free; by what logic should birth control pills or diaphragms be handed over at no cost? It is true that a woman's unwanted pregnancy can lead to serious costs, but the same is also true of a diabetic's hyperglycemia. Should insulin be free? By and large, birth control is inexpensive; as little as $20 a month without insurance. For low-income women who find that too onerous, the federal government's Title X program provides subsidized contraception to the tune of nearly $290 million per year. American women are not forced to choose between the Pill or the rent. And access to birth control, as the Centers for Disease Control reported in 2010, was virtually universal before Obamacare. The White House is right to end the burden on religious objectors. But it is the birth-control mandate itself that should be scrapped. Contraception is legal, cheap, and available everywhere. Why are the feds meddling where they aren't needed?